IThe Tesco Hindustan Service Centre (HSC) is the Global Services Arm for Tesco. The centre sits at the heart of the Tesco group, and provides IT and Business services to Tesco operations across Europe and Asia. 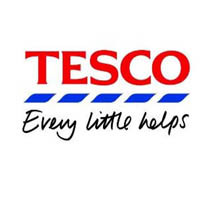 Tesco was the first major international retailer to have a fully-owned support centre in India. Our core purpose at Tesco is to create value for our customers to earn their lifetime loyalty and Tesco HSC is dedicated to supporting those values by providing great service to our internal customers.